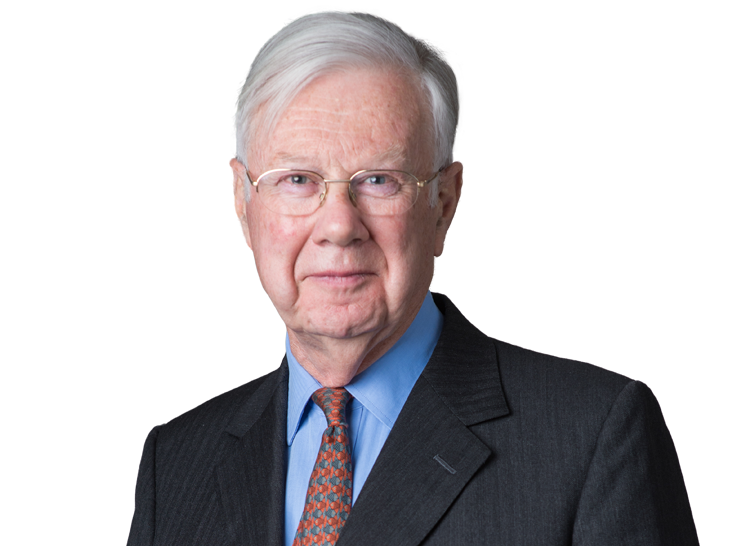 Since retiring from the Bench in 2012, His Honour Nicholas Chambers QC has developed his practice as an Arbitrator and Mediator. He has sat regularly as a single arbitrator, third arbitrator or panel member in a wide variety of disputes including claims in respect of joint enterprises, shipping, shipbuilding and television broadcasting rights. He has also acted as a mediator in commercial disputes of all kinds including banking, shipping, aviation and IP. He is a former Mercantile Judge for Wales and sat in the Commercial Court, Chancery Division, Technology and Construction Court and Queen's Bench Division. He was authorised to sit in the Admiralty Court. CEDR accredited as a mediator in 1999 and a Civil Mediation Council registered mediator. A Fellow of the Chartered Institute of Arbitrators. A member of the CIArb Presidential Property Dispute Service Panel. A member of the LCIA, the Baltic Exchange, the ICC, the IBA, the Civil Mediation Council and a supporting member of the LMAA. His Honour Nicholas Chambers QC accepts appointments as an Arbitrator and as a Mediator. Was involved in a wide variety of important commercial cases including as leading counsel in the Kuwait Airways Corporation litigation. Acted for most of the clearing banks as well as other major banks and was leading counsel for BZW in the Hammersmith swaps litigation. Acted for the International Tin Council in the litigation following its collapse. Acted in numerous shipping cases both in arbitrations and the Commercial Court including construction, ship sale, charterparties and carriage of goods. Was involved with many types of commodities including acting as leading counsel in the International Tin Council litigation and in the Derby v Weldon litigation. Acted in respect of a significant number of regulatory authorities including FIMBRA, IMRO, PIA, Lloyd’s, London Stock Exchange and the ICA. Cases included ICC arbitrations, work for British Coal and major international arbitration concerning the Italian power generating industry. Acted for British Coal in Chronic Obstructive Airways Disease litigation and in respect of claims for noise induced hearing loss. HH Nicholas Chambers QC sat in a great variety of cases of all kinds of complexity and value including banking, insurance, reinsurance, shipping, sale of goods, breach of warranty, professional negligence, construction, property disputes, intellectual property, equitable relief, inheritance, insolvency and challenges to jurisdiction. Hertford College, Oxford; B.A. (Hons) Jurisprudence: 1962 – 1965; M.A. Member of the CIArb Presidential Property Dispute Service Panel. Common law then commercial practice in London (Brick Court Chambers) until appointment as a judge in 1999. Counsel and arbitrator in International Chamber of Commerce and other arbitrations. During this period had overall responsibility for all aspects of the ICLR's business including the negotiation of licence agreements with major publishers, the transition to direct online selling, employment matters, marketing and the appointment of senior personnel. Contributing Editor (jurisdiction) to the White Book on civil procedure: 1998 - 2009; also Advisory Editor. Missed Moments in Legal History Oblong Creative 2012 - texts and illustrations from the book are on permanent display in the Rolls Building. Case Handling – An Illustrated View from the Bench Wildy, Simmonds & Hill Publishing 2014.